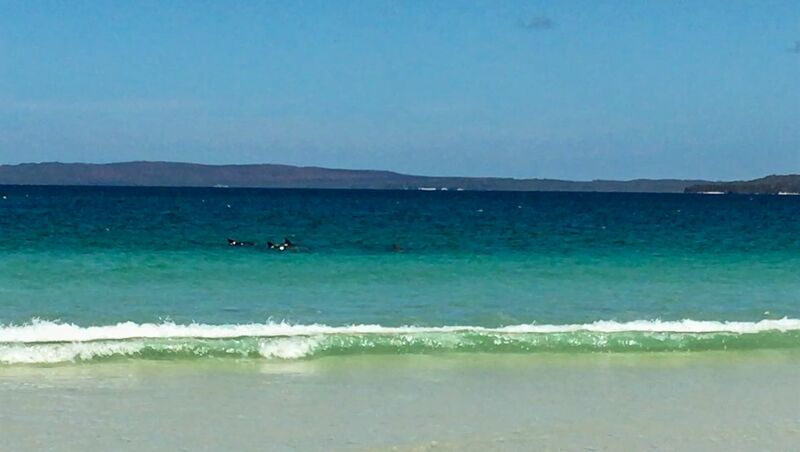 Jervis Bay is a 102 square kilometre (63 miles) bay located in the southern coast of New South Wales. It’s famous white-sand beaches and crystal clear turquoise waters are amongst the most beautiful in the world. It claims to possess the whitest sand in the world, located on Hyams Beach and is an ideal spot to witness some of Australia’s native marine wildlife. Getting to Jervis Bay is around a 3 hour drive down the south coast from Sydney and it doesn’t disappoint. It offers fantastic views of the ocean and chances to stop in small coastal towns and villages to break up the drive. One of the towns I’d recommend stopping at is a town called Berry. Apparently it has a pretty famous Donut Van if that’s your thing, but I’d suggest heading to a lookout spot called Black Head. It’s around a 17 minute detour from Berry and it’s one of the few places where you can fully see the full stretch of 7 mile beach and is not very touristed. You can access the rock peninsula (with caution of course) but the almost 360 panoramic views of the ocean are amazing. Before I arrived I expected maybe 1-2 beaches, a coastal town and that was it. Jervis Bay definitely impressed by the sheer size of it and what it offers in terms of things to do, if you are outdoor oriented person. It’s littered with white sandy beaches, pristine waters, lagoons, walking/biking tracks and creeks. Having spent 2 days in Jervis Bay, I found some pretty unique things to do, some of which are well known, while others were recommended by locals in the area. 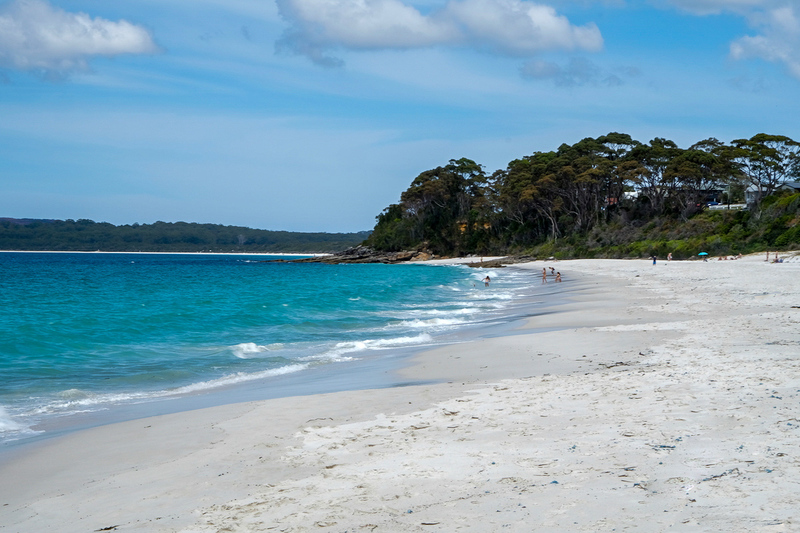 The most notable beach in Jervis Bay is Hyams Beach. Its claim-to-fame is having the Whitest Sand in the World. You can easily drive by car to the beach but I would recommend taking a 15-20 minute bush coastal walking track to the beach. It starts at Greenfield beach picnic area and ends at Hyams. You encounter lots of signage to direct you while you’re on your walk and gives a great chance to enjoy the tall forest and woodland. Unfortunately on the day I went it was a bit overcast so I don’t think I got the best light conditions for seeing the world’s whitest sand beach but I really enjoyed it nonetheless. The sand had a consistency of soft, extremely fine and brilliantly white. Looking out from one of the many different spots within Jervis Bay you will have had to come across seeing the Point Perpendicular Lighthouse. 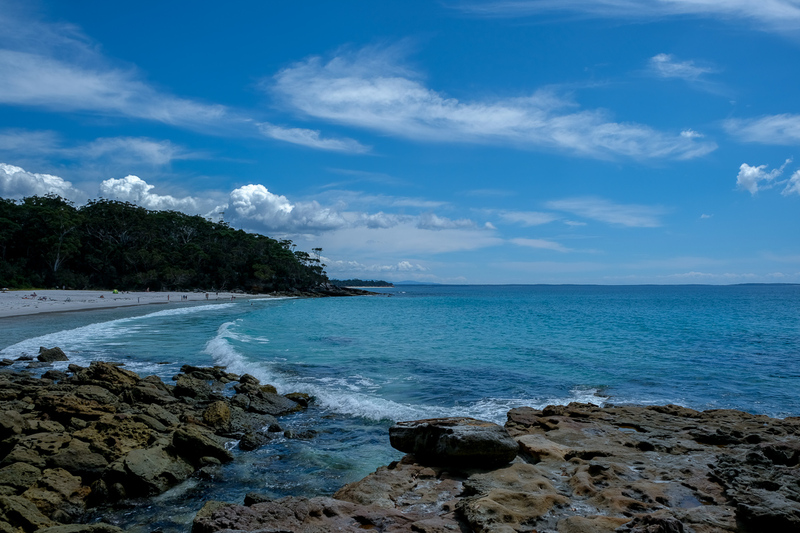 It’s located at the southern tip of the Beercroft Peninsula and is the northern entry point to Jervis Bay. Driving to the lighthouse first requires the site, which is operated by the Department of Defence, to be fully accessible. Around 100 days out of the year the grounds on which the Lighthouse sits is used for gunnery / target practice, so be sure to find out ahead if it’s open to the public for viewing. After you enter the main gate, the unpaved road leading up to the lighthouse is around 10km (6 miles) and is quite bumpy and loud. At times I felt like from the unrelenting vibrations the wheels and suspension we’re going to give out. 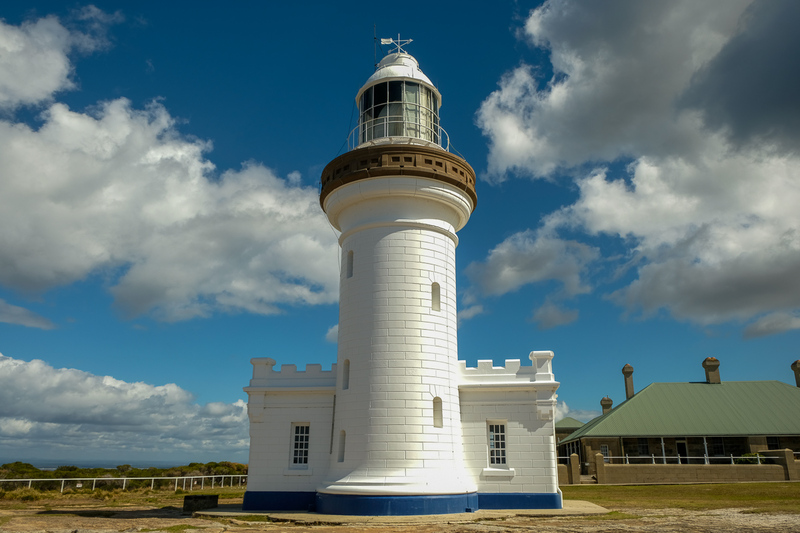 The original lighthouse, built in 1889, stands around 21 meters (70 feet) high and has a bit of a castle feel. There’s a fence surrounding the entire premises so you can’t get too close to the cliff’s edge. The cliff’s on which it sits are around 93 meters (304 feet), about as tall as the Statue of Liberty. 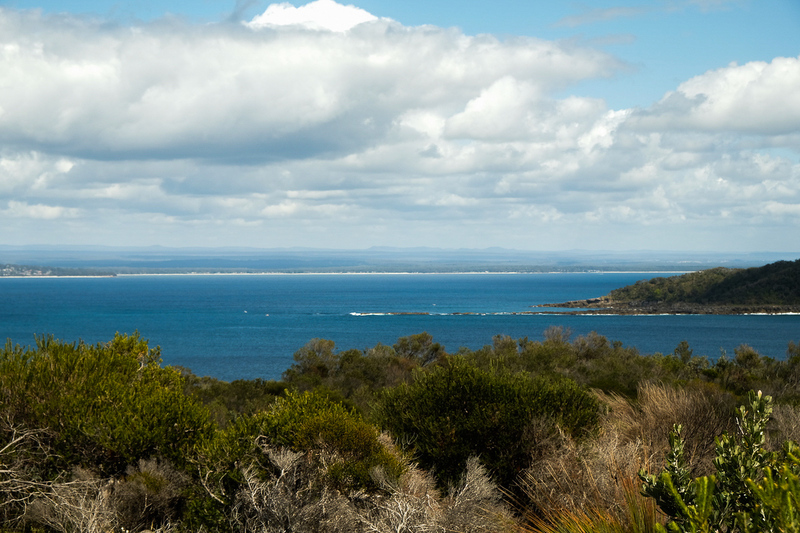 Recommended by several locals in the area, Red Point is located within the northern shores of Jervis Bay. With crystal clear, calm waters even on a windy day this spot is absolutely perfect for some rest and relaxation, as it’s not heavily touristed nor is it alongside any coastal towns or villages. The rock point that sits as a divide between beaches is easy to walk out on proving a great lookout to get a view of the southern portions of the bay. 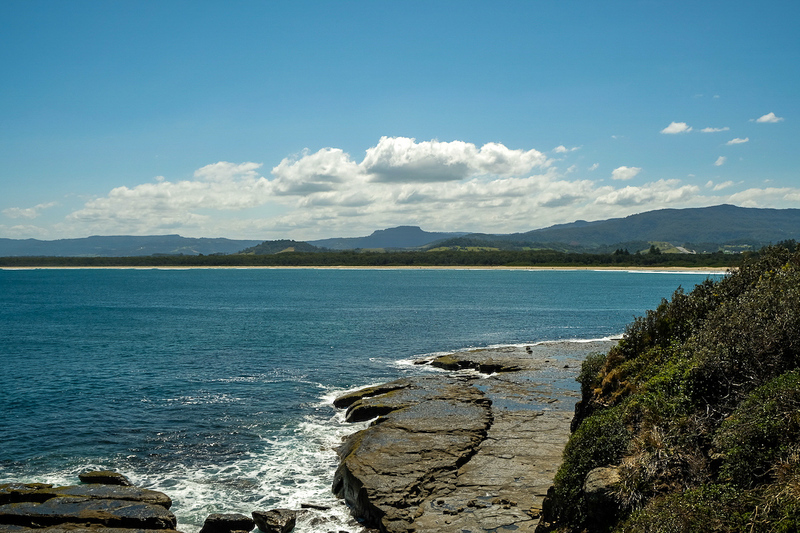 Callala Beach is located on the northern shores and stretches around 5.6km (3.5 miles) in length. 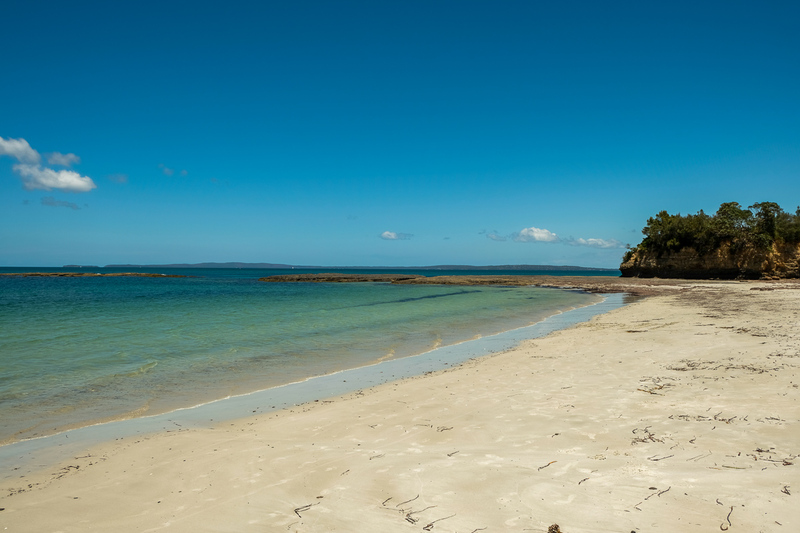 It’s the longest of all the beaches in Jervis Bay and is frequented local swimming spot given the usually low spilling waves and shallow bar. The beach proved to be a perfect spot for not only relaxing on the white sand and catching some sun, but also to view some of the native marine life. A pod of around 7 bottlenose dolphins came slowly swimming past where I was laying out and were no-more-than 20 meters (65 feet) away. See picture below. Bring sunglasses, even on overcast days. The beaches are insanely white and on a bright sunny day they can almost be blinding at times. Watch out for Bluebottle Jellyfish. I found a fair few of them washed up on the shore on some of the beaches, so be sure to check the conditions before hand if you’re planning on swimming. If heading to Point Perpendicular, call before to check that it’s open to the public. Search through all my content to find exactly what you’re looking for!